I hate these guys. I hate 'em, I hate 'em. They have great songs. They have an over abundance of talent. The why do I hate them you ask. Well, it's because they make it look so damn easy. 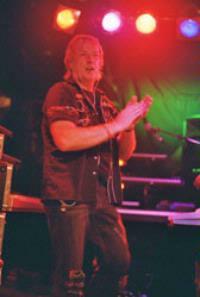 John Payne plays and sings with an almost matter of fact attitude, while Geoff Downes plays as though he has been composing music since birth (maybe he has). 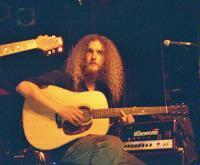 Secret weapon Guthrie Govan makes his guitar sing with what seems like little effort. The only person that looks like they are really working is Chris Slade. I have yet to see a drummer hit as hard as he does. They started the show by pleasing the older fans with 3 songs off the first album "Asia". "Wildest Dreams" starts the show in fine form with "Here Comes the Feeling" and "Time Again" following in second and third. For older fans, this was definitely a great way to start. 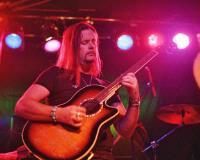 John Payne sang those songs with the same passion as John Wetton, yet making them his own. He has been in the band so long that I can't imagine Asia without him. 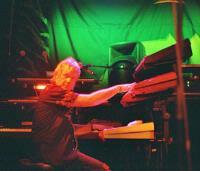 It speaks of his talent that no one yelled out "Wetton" during the show. We got our first taste of the new album with the title track "Silent Nation". It's a great song to include in their set and gives the crowd a bit of a breather after the one, two, three punch of the first 3 songs. After this little tease from "Silent Nation", we went back to the first album with "Cutting It Fine". Four out the first 5 songs coming from the "Asia" album seems like a lot but the crowd loved every minute of it. John and Guthrie left the stage to give Geoff his spotlight. 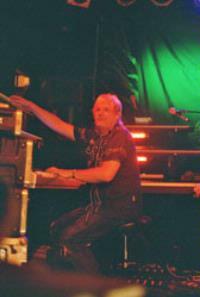 Within his keyboard solo, he showcased his roots with "Video Killed the Radio Star". I generally do not like solo spots but Geoff's was good because it included a song and it was brief. Next up, we got "Long Way From Home". I love this song and it seems as though the band love it too. It was great watching them play it because they really looked like they were having fun. "The Heat Goes On" and "Military Man" followed. Those songs are great but they didn't seem to have the same spark as "Long Way From Home". "Military Man" led into the drum solo. Chris Slade's drums took quite a beating. He unmercifully bashed away at his kit that when it was over, even I was tired. Roadies brought out stools for John, Guthrie, and Geoff so that they could present us with a small acoustic set. Quite honestly, this was my favorite part of the show. I was surprised at how well the songs came across. Song like "Open Your Eyes" and "Voice of America" took on a more organic feel and it really worked. 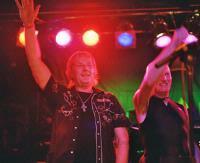 A stripped down "Don't Call Me" seemed to evoke even more passion out of John Payne. I was really surprised with the acoustic version of "Who Will Stop the Rain". I didn't think it would sound right but Chris Slade joined in on this one, making it a bit more of a rockin' song. It just goes to show you, a good song is a good song, no matter how it's played. "What About Love" brought back the electric Asia. Since they have not played these songs a million times, there seemed to be an extra fire in the performances. Sadly, this was the last song off the new album being performed that night. The concert ended where it started, with the first album. "Sole Survivor" and "Only Time Will Tell" were played flawlessly. For the encore we got "Go" and "Heat of the Moment", with the crowd lapping up every second. I would like to have heard more off "Silent Nation", although they were on stage for 2 hours and 10 minutes. If I chose the set, they would be up there for 4 hours. I don't think Slade's drum kit could hold out.